Former Lt. 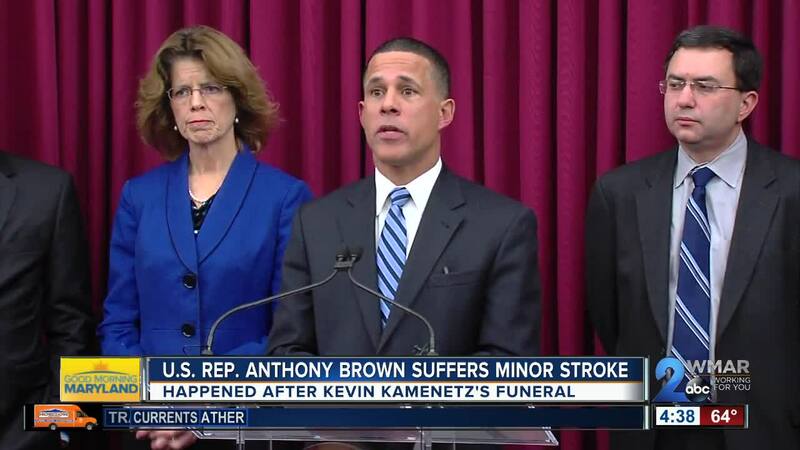 Governor and now Congressman Anthony Brown had a minor stroke within a few hours of leaving the funeral of a county executive in Maryland. Shortly after returning home to Bowie, Brown felt dizzy and nauseous so his wife called 9-1-1. The 56-year-old was taken to the University of Maryland Prince Georges Hospital for a minor stroke. The first term congressman was released from the hospital after two nights. Brown served two terms as Maryland's Lieutenant Governor and then lost the 2014 bid for Governor to Larry Hogan. He was later elected to Congress in 2016. No word from his office on when he plans to return to Capitol Hill.